Life is made up of all the little moments that stand out for one reason or another. Give them what they deserve with Momenti™ Pomegrante & Blackcurrant! 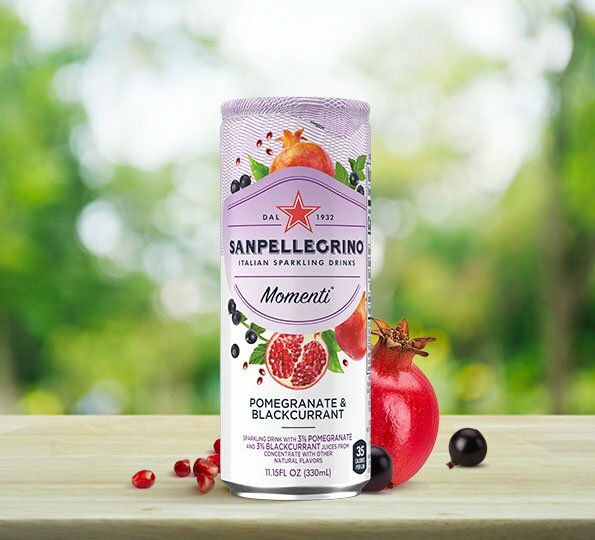 Momenti™ Pomegranate & Blackcurrant flavor’s fun fruity twist comes from the combination of real juices of exotic pomegranates and intense blackcurrants (juices from concentrate), all carefully selected by Sanpellegrino®. 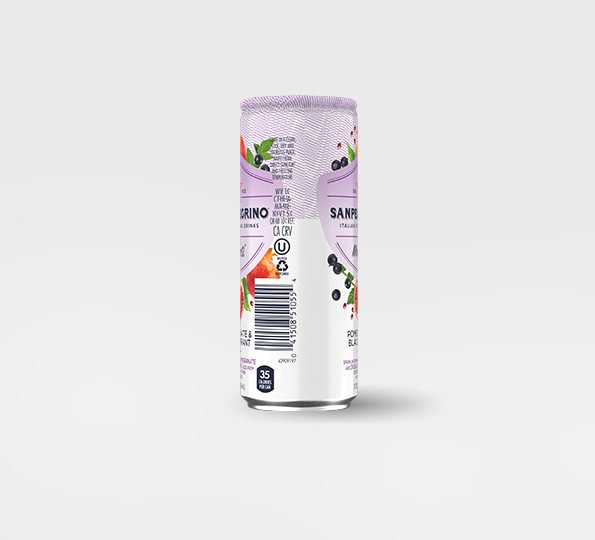 It is the perfect added touch to fine carbonated water and is an ideal refreshment at any time of the day. 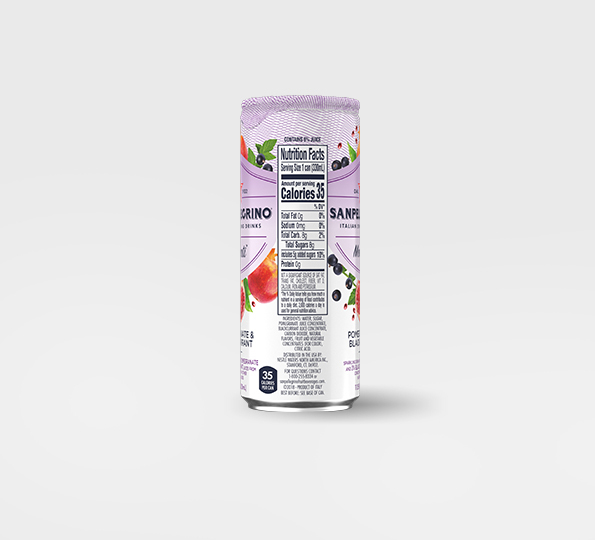 This low-cal drink contains just 35 calories per 300ml / 11.15 fl oz serving and no artificial sweeteners, making it the easy and delicious choice whenever, wherever you are. Sparkling drink with 3% pomegranate and 3% blackcurrant juices from concentrate with other natural flavors. 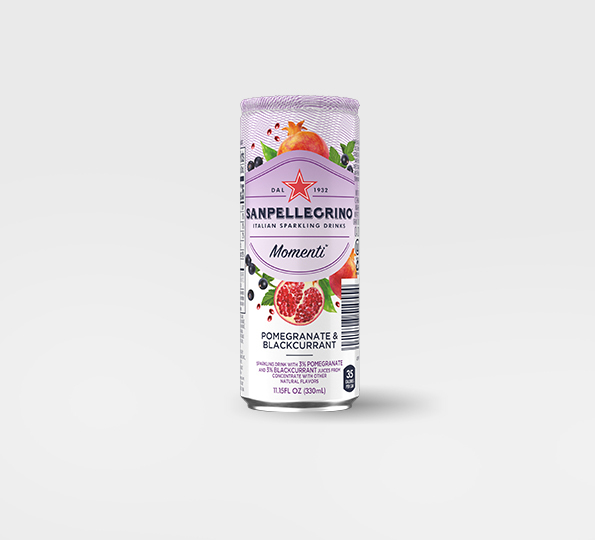 Water, sugar, pomegranate juice concentrate, blackcurrant juice concentrate, carbon dioxide, natural flavors, fruit and vegetable concentrates (for color), citric acid. 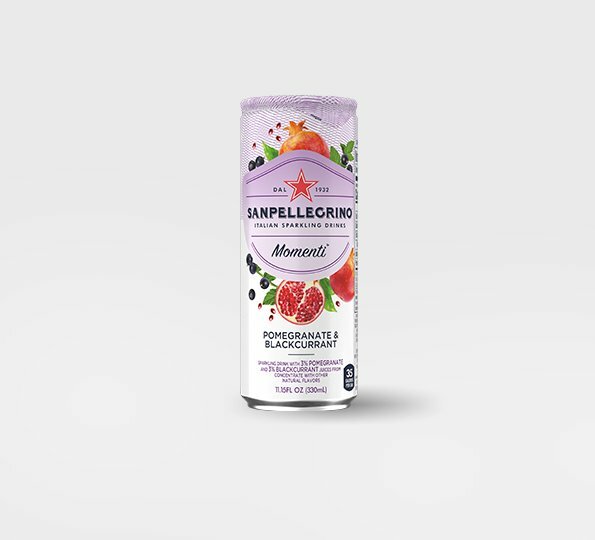 Sanpellegrino® Momenti™ Pomegranate & Blackcurrant sparkling drink with 3% pomegranate and 3% blackcurrant juices from concentrate with other natural flavors is available in 11.15fl oz/330mL cans.